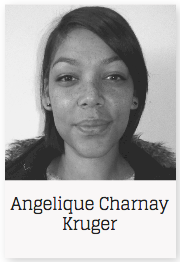 My name is Angelique. I am studying in the psychology department at Cornerstone because I have always been curious in the human mind, and I plan to use the knowledge I gain in community development and upliftment projects. I enjoy art, especially as a tool for empowering young people. My fascination with human behaviour was ignited by my experience as a volunteer at an NGO concerning heavy Alcohol and Drug users. Our team at that NGO sought to educate people on the dangers of drugs. Working so closely with people in the Pollsmoor Correctional Centre was heart wrenching, especially seeing how many young lives were impacted by drugs. I was disturbed at the amount of people that ended up in that place, and wanted to approach the question from a psychological standpoint: what encourages people to engage in that kind of behaviour, and how can it be prevented? Now not only am I getting an education in a field that excites me, but it’s also giving me the knowledge and the platform I need to help people. I’m also getting the qualifications I need to be able to support my mother and myself financially. When I graduate from Cornerstone, I’ll finally be able to impact young lives. My focus will be on using my new qualifications to create an enriching and motivational forum for discussion. I want to engage with children and teach them what I’ve learned about the human mind, and to listen to them when they need to be heard. More than just being a registered psychologist, this degree will enable me to contribute better to the next generation.